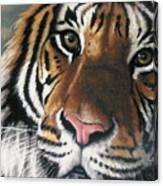 Congratulations, your work is being featured on the homepage of the Midwest America Artists group! You're invited to archive this image by posting it in our Discussion thread, "Archive Your Art, Featured Or Picked For Our Homepage." Congratulations! 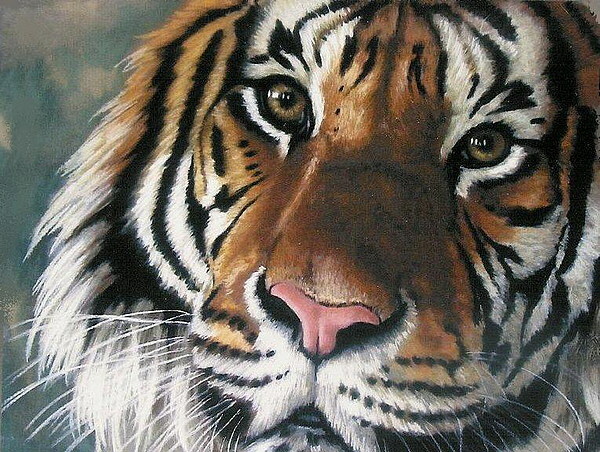 Your awesome artwork is now featured on the homepage of our group, ROAR (Realistic Oils, Acrylics, and the Rest)! Thanks and visit us again soon! CONGRATULATIONS!!. 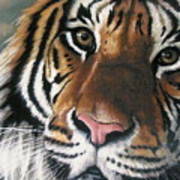 Women Painters has featured your artwork. Great work. Love the colours and composition!! * NOTE: 01-20-18 15 oz. Coffee Mug Sale to Boca Raton, FL * NOTE: 08-13-17 Duvet Cover - King Sale to Quesnel, BC * NOTE: 02-20-16 Greeting Card Sale to Lubbock, TX Tigger was a rescue from an owner that had him in a concrete enclosure that was 9 feet by 9 feet. When Tigger first arrived at Noah's Lost Ark, he wouldn't let a man anywhere near his enclosure, especially if that man held anything in his hand. Tigger passed on in 2004 from heart failure, but at least the last years of his life were much more pleasant.